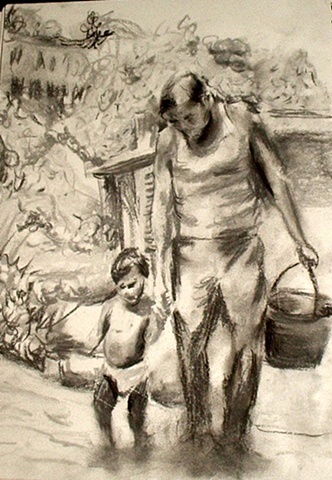 This is the first sketch in what ended up being a series inspired from a photograph my mother took of my grandfather and I walking on the countryside. In his hand you see a pail which he is going to use to milk a cow. One of the many self-sufficient ways he lived off the land. Bendicion Abuelo Bartolo, te extraño.